Incumbent runs for re-election – News at 19.00!!! Yes, folks you read the above image correctly. 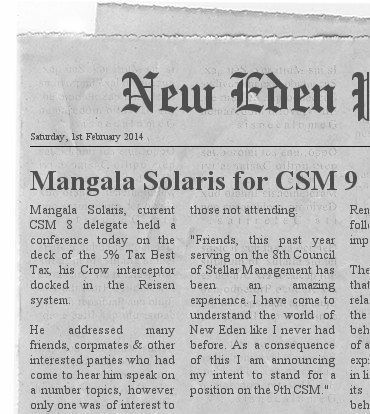 I am indeed running for a place on the 9th Council of Stellar Management. Expect more information in the coming weeks.